After leaving Static Tension Recordings, Doom band Season of Arrows delayed their forthcoming album, Give it to the Mountain, until March 24th 2017. The Nashville natives recently signed with Italian record label, Argonauta Records in Genova, to release the album. 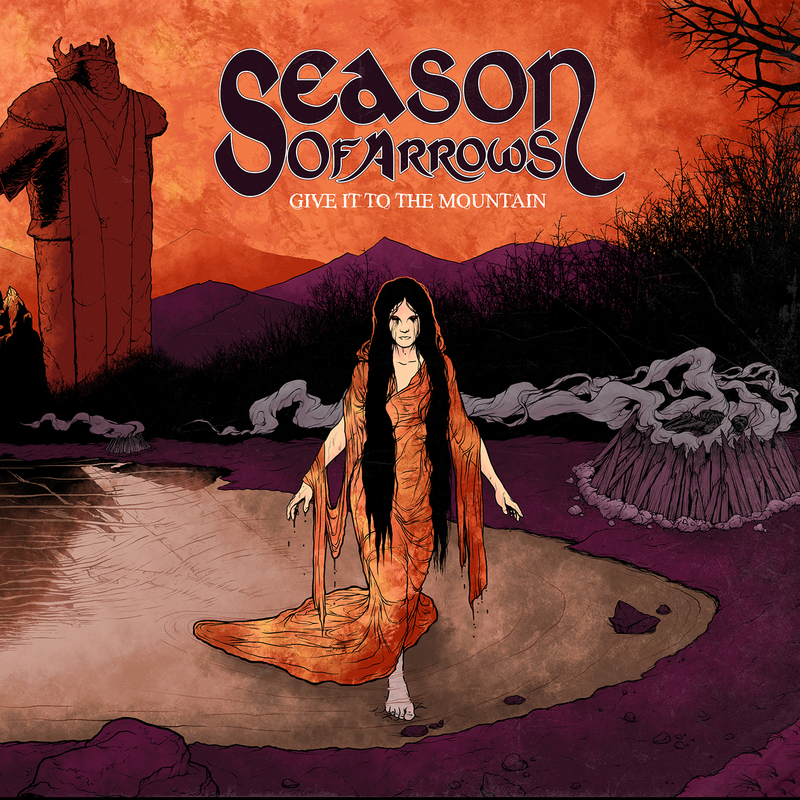 Season of Arrows has created a unique sound of their own combining elements from older bands like Black Sabbath and Jefferson Airplane, bringing those signature sounds into the modern age. Picture Jefferson Airplane’s “White Rabbit” with heavy guitar tones and drums like you would find in Sabbath’s signature sound and you have Season of Arrows. They have a sound that I really loved, since I am a huge fan of Jefferson Airplane. Stormie Wakefield’s soft voice really adds to the depth of the music, paired with Brandon Shepard and Dave Gates’ heavy palm muted guitar tones, and Brad Lawson’s symbol-heavy drumming techniques, and you have an amazing sound. The band also incorporated song breaks for Shawn Van Dusen’s bass to shine through, giving their sound a great balance, while also allowing each musician a chance to stand on their own. When you break it down and analyze the layers of the music you can really see how deep their sound is, the many layers create an atmosphere that is inviting, even though the songs have a darker tone to the lyrics, but it lends room for the sound to be full and warm. You can really tell the band took their time creating this album and their sound, which is something I think is needed in the industry today. The eight-track album is full of unique sounds and tones, but throughout you can tell that this is the same band. The highlight for me is by far Stormie’s voice, especially in songs like “Deep Graves” and “Autumn Wings”; her almost angelic voice gives you goosebumps, and everything works well and balanced throughout the entirety of Give it to the Mountain. At first, I was very skeptical if the mixture of sounds would work, but they blended beautifully; the instrumentation is somewhat simple but the overall experience of the sound is complex, and that’s exactly what this album is, an experience for the listener, taking them on a journey of sound. This release is something that true music fans will not want to miss when it comes out in March of next year.